December 10, 2014: Hardin County Extension Office, Elizabethtown. The meetings will begin at 8:00 am local time and end with lunch. The 2014 Corn Silage Trials are available online. Twenty-two hybrids were submitted for testing and those hybrids were planted in Boyle County, Casey County and Mason County. University of Kentucky personnel harvested, chopped, weighed, packaged corn forage samples, analyzed the data and generated the report. Corn forage analysis was conducted by Dairy One. The first table in the test is the data averaged across all three locations. This is the best data to use for selecting hybrids next season. 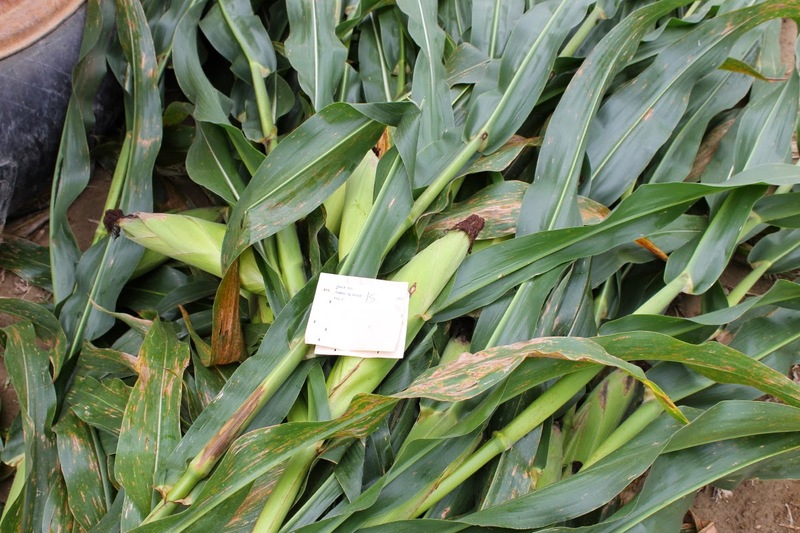 A combination of corn tonnage and forage quality should be considered when selecting hybrids. Compare the results from this report with other relevant, unbiased silage trials to learn more about hybrid performance. Since half the total forage weight generally comes from the ear, grain trials can also be viewed to gain a better idea about tonnage. Grain trials will not help with forage quality values. County Extension Agents and producers were essential to conducting this test. If you have questions about the test or hybrids, contact your county extension office. The 2014 University of Kentucky Hybrid Corn Performance Test is available online. Hybrids are submitted by seed companies and grouped into one of four classes: Early (less than 112 days); Medium (112 to 115 days); Late (greater than 115 days); or White Corn tests. Tests were established at six locations and the summary of hybrid performance across all locations is still the best indicator of hybrid performance for next year. Until we can accurately predict weather for 12 months (including how much it will rain each day and maximum daily temperature) grouping hybrid performance across several environments is our best method to predict future performance.We know everyone enjoys looking at data from each site, so tables are included for that as well. Visit the Corn Hybrid Testing Website for more information about the tests. Printed copies should be in your county extension offices. Corn that will be harvested and stored on the ear should be allowed to dry in the field as long as weather is favorable and stalk strength is adequate. During field dry-down, be aware that moisture in the cob is much higher than the kernel for corn above 15%, as shown in Table 1. Table 1. Moisture content of corn kernels and cobs during field dry-down. Source: American Society of Agricultural and Biological Engineers (ASABE).